It has been another bad inning for male leadership. Besides the hourly Trumpian twitterings and the addition of Brazil’s Jair Bolsonaro to the confederacy, we have been treated to a second wave of masculine mayhem. 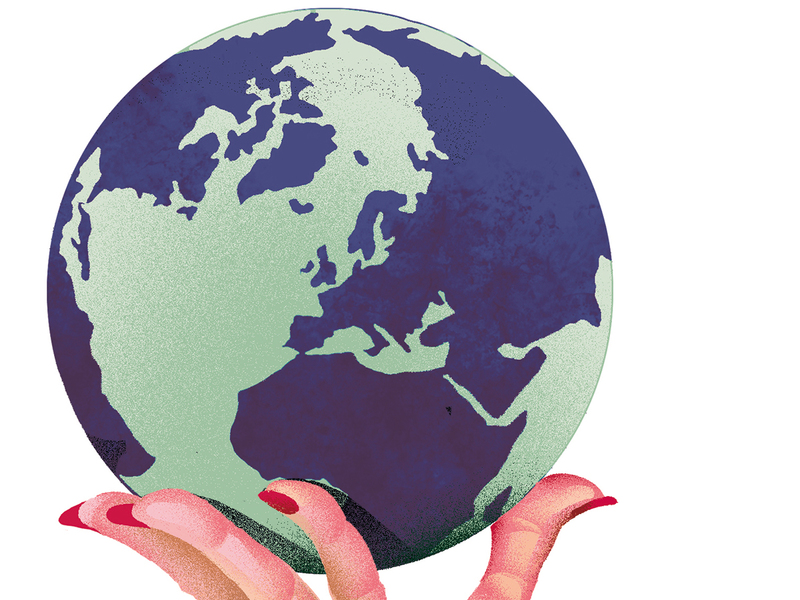 Can women save the world? A ripped Captain Marvel can rescue us from intergalactic enemies, but down here on planet Earth a new paradigm of female leadership is emerging. A year ago, Prime Minister Jacinda Ardern of New Zealand was famous for being a world leader who gave birth while in office. Then came the slaughter in the Christchurch mosques and overnight the gravitas in her angular face beneath a hijab became an iconic image of global humanity. As women across New Zealand emulated her gesture of solidarity by donning head scarves, the Arab world took note. A portrait of Ardern was projected across the world’s tallest building, Dubai’s Burj Khalifa, with the word ‘Peace’ emblazoned above it in English and Arabic. I don’t contend that women are naturally and invariably better at running governments than men. Witness the dismal sight of Theresa May stumbling on the glass cliffs of Dover last week as, for a third time, her Brexit deal went down in defeat. Yes, the British prime minister may have been better destined to be deputy headmistress of a girls’ school. But the 13 Tory grandees — all male, all white — who descended on Chequers to browbeat May yet again this month were described by a bitter London ‘Remainer’ friend of mine as “bogus patriots in crumpled suits and yesterday’s underpants, loving the sound of their own voices.” Plus May found herself in No 10 Downing Street only because these same feckless upper-class men decided to kiss off the European Union without a clue how to achieve it. At a minimum, we can at least argue that women are afflicted by what Hillary Clinton, once called “the responsibility gene.” But there is a deep lesson here. During thousands of years of civilisation, women have evolved to deal with the intractable perplexities of life and find means of peaceful coexistence where men have traditionally found roads to conflict. Women have accumulated rich ways of knowing that until recently were dismissed in male circles of power. The alchemy of what has made women the way they are is mysterious: Is it a result of centuries spent trying to survive and prosper in societies where they’ve been viewed as lesser? Or, until recently, of always being appointed the family caregiver, bearing and raising children, tending to elderly parents and disabled siblings, so often left to shoulder the unpaid burdens of real life? Women have learnt and taught lessons about how to cope with seeming impossibilities in ways that men traditionally — and to this day — have not. Coaching a slow learner on homework after a day of hassles at the office provides a deep experience of delayed gratification. A woman’s wisdom comes, in part, from the great juggle of her life. Until very recently, that kind of wisdom was banished to folkways or deprecated as secondary. But as women step into their new roles, the value of that wisdom is beginning to emerge in unexpected ways. It’s past time for women to stop trying to cram themselves into outdated Nasa spacesuits designed for an alien masculine physique. Salvation doesn’t lie in pursuing traditional male paths of self-elevation. In drawing on women’s wisdom without apology and pushing that wisdom forward into positions of power, we can soothe our world and, maybe, even save it. Tina Brown is a renown journalist, magazine editor, columnist, talk-show host and author of The Diana Chronicles, a biography of Diana, Princess of Wales.